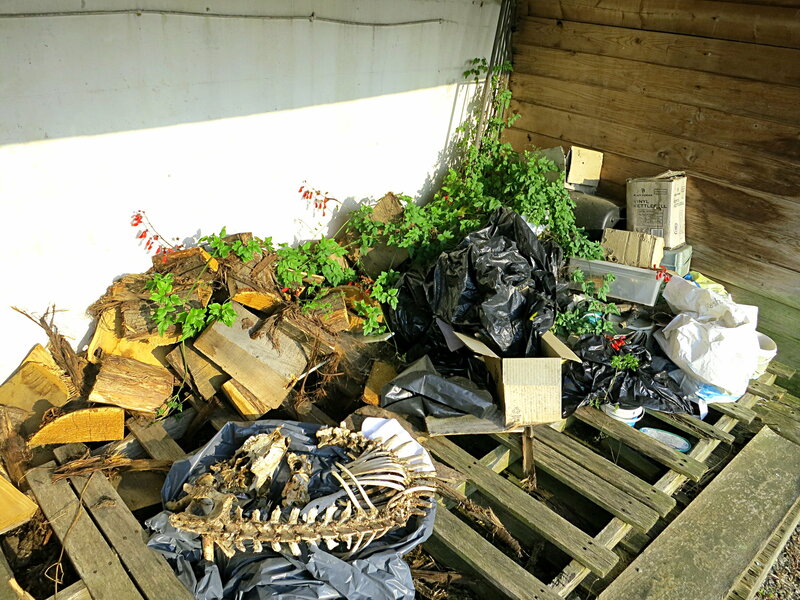 Ah, I used to have a death shed too. Took forever for that deer to skeletonize and stop stinking… Speaking of which, your “medium-sized mammal” is surely an artiodactyl, no? Skull looks too broad to be a deer. Maybe a sheep? Wow, Joseph, what a weird law! Anyway, I’m in the UK, so it seems I’m safe from your Feds for now, at least. I do know that the Newent bird-of-prey centre, which is less than ten miles away from us, is required to cremate their gorgeous corpses, which is a real tragedy. Mickey, you may well be right about the sheep — it’s the strongest candidate anyway, based on what we have a lot of around here. I’ve not really looked at it. Not just birds of prey, but most birds in the US and Canada, thanks to an international treaty. Only non-natives (pigeons, starlings) and certain upland game birds (crows, turkeys) may be collected without a salvage permit (and the permit requires depositing remains in a museum). I don’t know how well enforced this is. It seems to be mainly a loophole-closer, so that if a suspected poacher claims he just found his haul, the prosecutors don’t have to prove he’s lying. I’m envious, Mike. I live too close to my neighbors to get away with this sort of thing. I’m currently prepping an opossum I found, but I had to travel out into the sticks and deflesh it the hard way. Thanks, Ian; I updated the post accordingly.